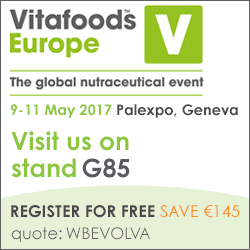 We will be show-casing our new branded Veri-te™​ resveratrol at Stand G85 in VitaFoods Europe, May 9th – 11th in Gevena. This year we are presenting Veri-te™ in the New Ingredient Zone and also the Tasting Bar. We will have nutrition and scientific experts, as well as a sales and marketing team ready on our stand to answer all your questions on Veri-te™​ resveratrol. To visit our exhibitor page click here. Veri-te resveratrol is proud to be supporting the 2017 NutraIngredients Awards taking place in Geneva on May 10th. Who will be this year’s winners?